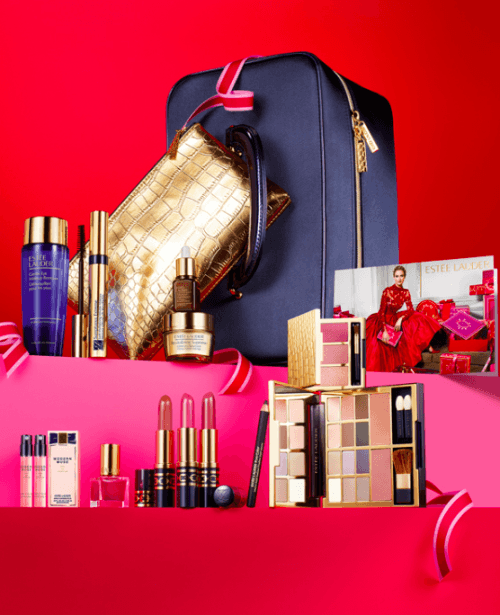 With the purchase of any Estee Lauder fragrance from Hudson’s Bay Canada, you will qualify to buy the exclusive Holiday Collection set, valued at $325, from Estee Lauder for only $69.50! Quantities of the limited edition Luxe Colour Collection are not guaranteed to last during this limited time offer, so it would be best to buy earlier rather than later to ensure the best chances of getting all that is advertised in this set. To make the most of your money, I would suggest purchasing this Estee Lauder 2 Piece Modern Muse Eau de Parfum Set, which is the cheapest fragrance set available at $32; plus it would make for an easily packaged gift with the convenient and stylish gift box included with your purchase. The total of your order would then be $101.50, for an assortment of fragrances and make-up valued at $357. One of the many awesome products available in this set, is the offer of 3 full-size Estee Lauder long lasting lipsticks, available in the colours: Sugar Honey, Bois de Rose and Candy). 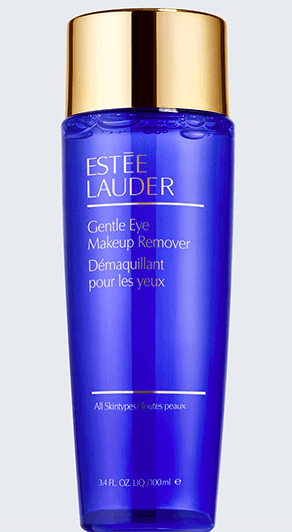 You will also receive this full-sized, 3.4 oz Gentle eye-makeup remover from Estee Lauder, which itself is valued at $20 and is one of the best eye-makeup removers on the market. 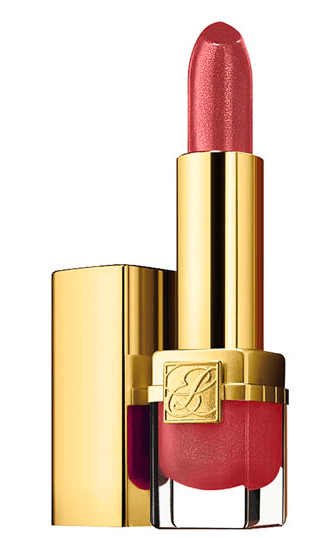 While these are the products being advertised, Estee Lauder cannot guarantee that you will receive the specific colours for each item as limited quantities are available and the longer you wait the more likely they are to have sold out of certain colours. 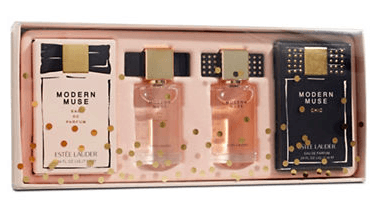 Click here to begin shopping Estee Lauder fragrances at Hudson’s Bay Canada to buy the Holiday Collection at the exclusive price of $69.50. I love their holiday collections but their perfumes all are horrible that I would never want want to spend money on one. Wish they had them with a purchase of any other of their products.